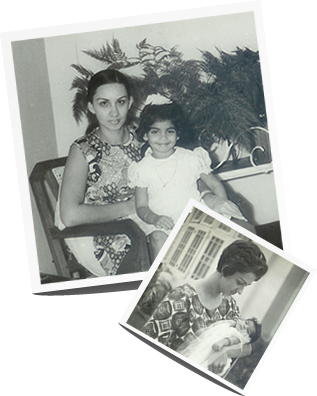 My Mom, Fran, grew up in Sri Lanka in a beautiful house with a large garden. Every day she and her sister would sweep the garden, pathways and driveway with the traditional Ekel Broom. When we moved to Canada over 35 years ago my Mom would always comment on how she missed having her Ekel Broom in Canada. My Mom knew that this was the perfect outdoor tool, for which no other tool on the market offered the same results for sweeping. 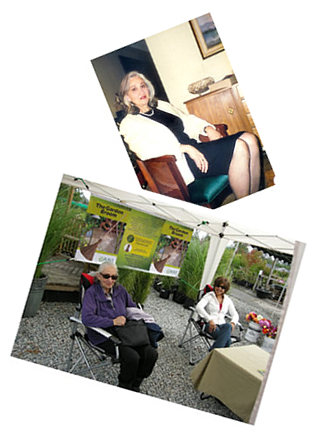 Knowing that my Mom has many brilliant ideas we began product testing the Ekel Broom in 2007. For three years we ensured that the many outdoor enthusiasts and gardeners were more than satisfied with the product and it would work well in the North American climates. Once we were convinced that all the necessary product testing had been completed, we launched the company in 2010 and Franmar International Importers Ltd., was incorporated. The name was formed by joining Fran and Maria… Mom and Daughter!! The Garden Broom was the name chosen as it is a new product and customers would then easily understand what the applications would be from the name. We are delighted to partner with Ravi Industries www.ravibrush.com the manufacturer of our products. Ravi Industries is a subsidiary of Hayleys, one of Sri Lanka’s pre-eminent multinational conglomerates www.hayleys.com. In continuing the quest for ensuring product quality and offering our customers only the best we are re-branding to the Original Garden Broom. Franmar International Importers was the first company in North America to import the traditional Ekel Broom and we want you to feel proud of that fact when you purchase one of our products. There are many more products being developed so stay tuned. The Original Garden Broom can be found in over 1,000 stores across Canada and we are now expanding in the US. My Mom, Fran, was correct and because of that you have a new and wonderful outdoor tool ~ happy sweeping! !